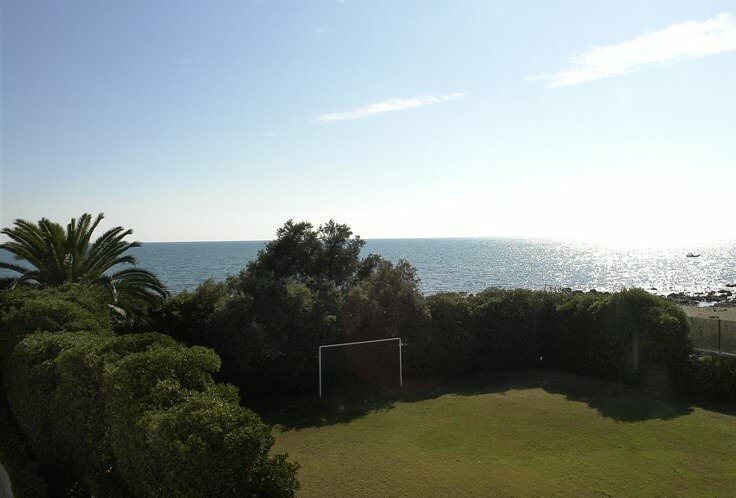 Stupendous Villa on the shore of Santa Marinella, considered the “Pearl” of the Tyrrhenian Sea, stands at the end of the tree-lined drive that crosses the pine-wood of the property. 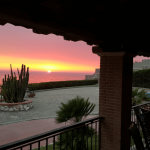 The villa, built in 1932 and purchased by the present owners in the mid 1950’s, has a L shape and is characterized by the immense patio that faces directly on to the sea. 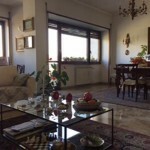 The villa has large windows and a portico covering the patio where guests can relax and enjoy the view of the Lazio coastline. 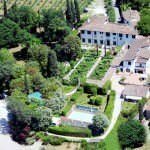 Inside, the house is enriched by the decorations of the ceramic tiles of Vietri present in the paving of the whole villa. 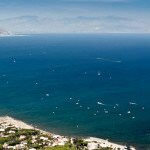 Santa Marinella is the ideal destination for sun and sea lovers but is also the ideal place for those wanting to organize daily visits to Rome and to the ancient Etruscan sites of Tarquinia and Cerveteri. The villa has two floors. The main entrance leads directly into the living area subdivided into TV area, relaxation area and reading area. To the right of the living room are the dining room and kitchen, a service twin bedroom, bathroom with shower and a laundry room. To the left of the entrance is the staircase leading up to the first floor and a small bathroom. The living room has French windows which lead out to the portico, furnished with tables and chairs, which leads on to the patio in front of the sea. A long central corridor divides the sleeping area on the first floor. On the left side (sea view) is a single bedroom with bunk bed, a twin bedroom with balcony, a double bedroom with balcony and en-suite bathroom and another bathroom with shower. On the right side (garden view) is a double bedroom with en-suite bathroom with shower and tub, a single bedroom with queen-size bed, a twin bedroom and another bathroom with shower and tub. 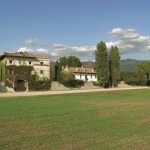 The entire property spreads over half a hectare. The charming park is maintained in excellent state. It contains a pine-wood, palm trees, araucarias and numerous areas with English lawn. 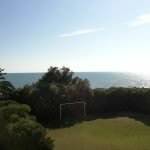 A volleyball net has been set up in the pine-wood whilst in another area of the garden is a five-a-side football field. 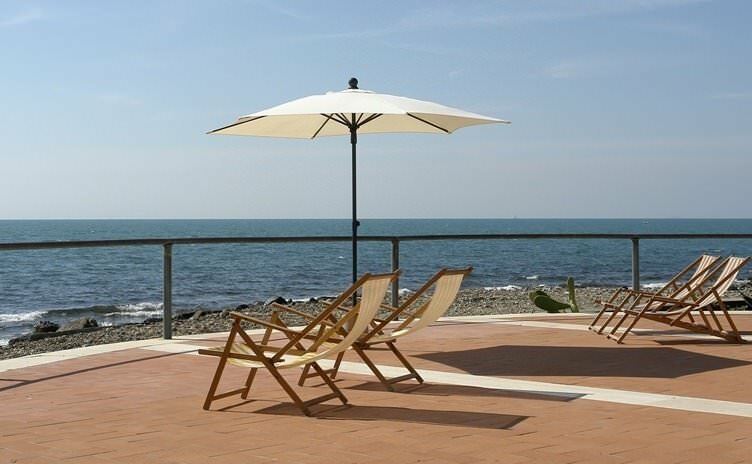 Both the garden-side terrace and the sea-side patio are provided with umbrellas, tables and chairs. A short path leads from the villa through part of the park to a picturesque terrace facing directly on to the sea where guests can relax and sunbathe. 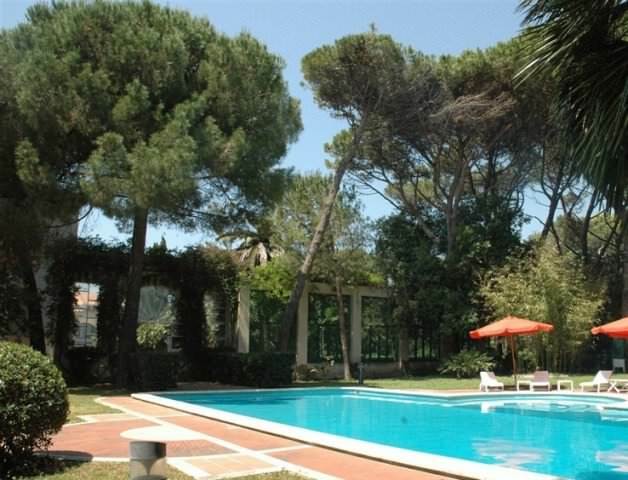 The rectangular-shaped swimming pool is about 20 metres from the villa and is surrounded by bushes and large trees. It measures 8 x 15 with a depth varying from 1.50 to 3.00 sq m. Characterized by sky blue mosaic paving, it has Roman steps and diving board. The surrounding lawn is provided with deckchairs, sunbeds, umbrellas, tables and chairs. 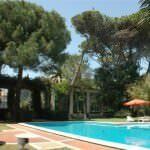 The pool is at the disposal of guests from the last Saturday in April to the first Saturday in October. The PRICES listed above are WEEKLY.